Stephane seems to be a bit of an inspiration this week with fellow bloggers as I also am blogging about something he posted. On Monday I came across his mini appetizers as I was planning my dinner. I wanted something to go with the mushroom soup I was making. 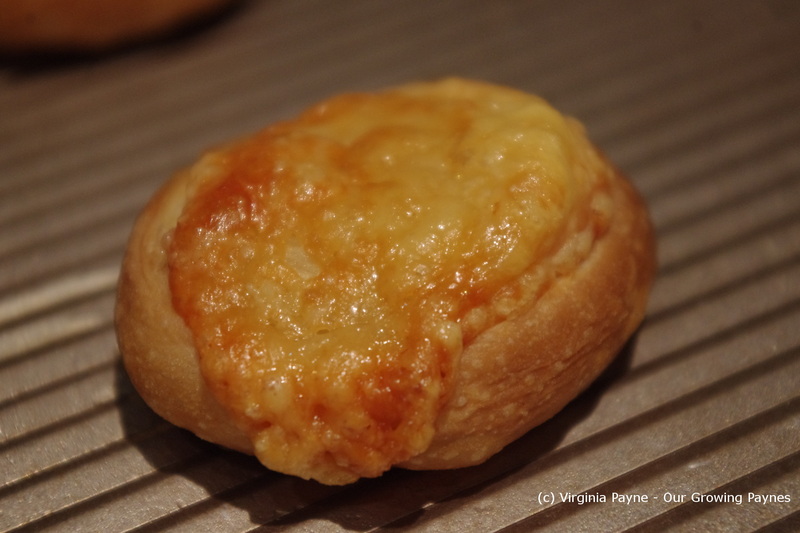 As I had different ingredients in my pantry than what was in Stephane’s recipe I came up with these cheesy pinwheels. It was perfect for using up the last bit of puff pastry I had in the freezer. 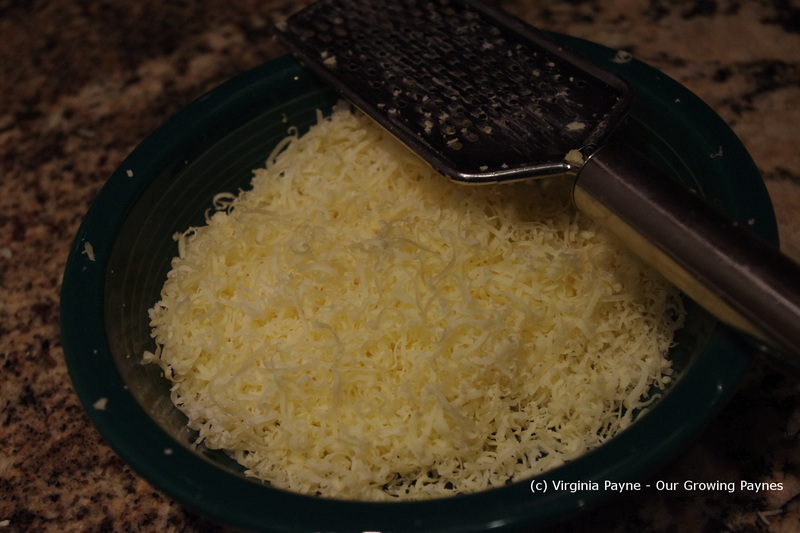 I grated some Jarlsberg, Cheddar, and Parmesan Cheese. 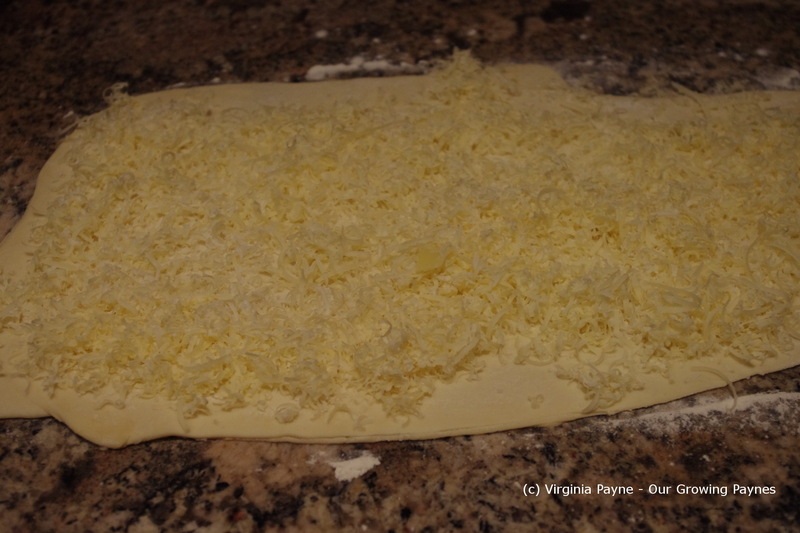 You want enough to cover the puff pastry once it is rolled out. Roll the pastry firmly all the way lengthwise. If you have time chill in the fridge to make it easier to slice. If you don’t have time then just use a sharp knife and nice even cuts. Have the pinwheels about 1/2 inch to an inch thick. 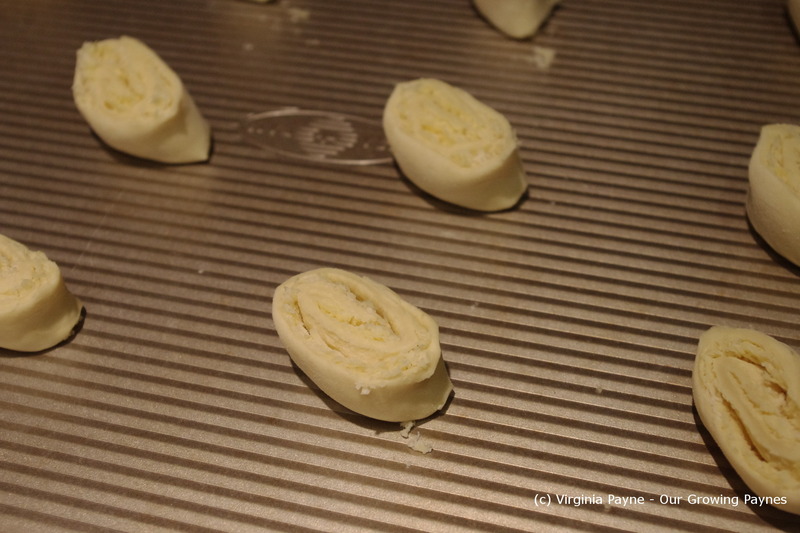 Place evenly on a cookie sheet and pop into the oven at 400F for about 15 minutes. Once they are golden brown they are ready to serve. You can make these ahead of time but they are so quick to make that they are great right out of the oven. This entry was posted in Cheese, recipes and tagged baking, cheddar, cheese, cooking, food, jarlsberg, parmesan, puff pastry, vegetarian. Bookmark the permalink. Oh I’ll definitely be experimenting going forward. Especially when the garden is up in the spring. I have loads of herbs to pick then. 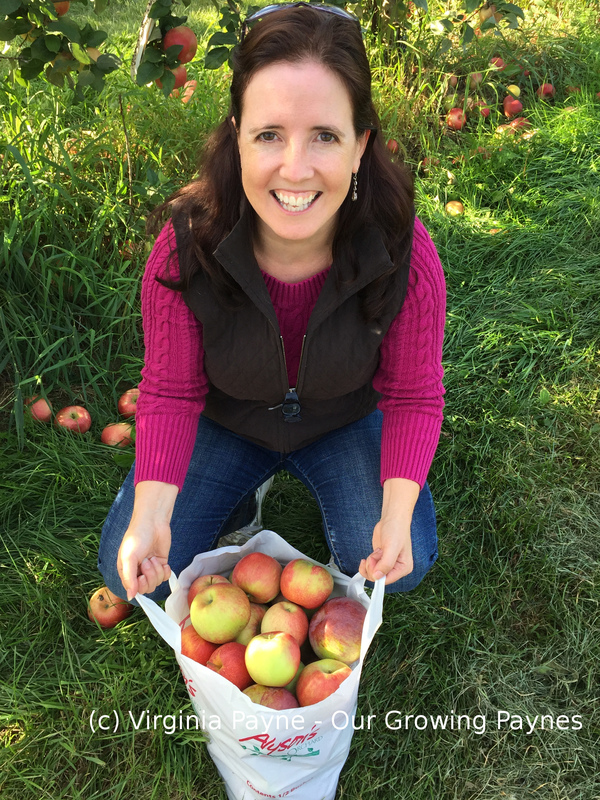 Please visit my blog post today to see my acknowledgement of your most kind nomination! Thank you & I love your blog! Thank you. 🙂 So I tried to post a comment to your hummingbird post. Did you get it? The colours are gorgeous! I love me some cheesy goodness, these look like the perfect bites! Simple, easy to make, and packed with cheese. I bet these disappeared off of the serving platter. What a great idea! 🙂 The wine would make it very decadent. Ooh, I could just eat some right now! Yum…. I love the look of these. Thanks. Perfect with soup or just to snack on. I never use this word, but those look so yummy! Oh, the cheese. I know! The beauty of it is that you can use whatever cheese you like for this.